NEW YORK – Following a decision by the New York Appellate Division, Second Department, Attorney General Barbara D. Underwood issued a supplement to her office's legal guidance to support local governments and law enforcement agencies in their efforts to protect vulnerable immigrant communities. Earlier this month, in People ex rel. Wells v. DeMarco, the Second Department held that New York law bars state and local law enforcement officers from arresting individuals for civil immigration violations. This decision is consistent with and confirms the guidance issued last year by the Attorney General's office regarding the participation of local law enforcement agencies in civil immigration enforcement activities. "The Second Department's decision underscores the fact that New York law does not authorize state and local law enforcement to arrest individuals for civil immigration violations," said Attorney General Underwood. "As our guidance details, the federal government simply does not have the authority to transform state and local police into federal immigration agents. Protecting public safety goes hand in hand with building trust with immigrant communities, and we'll continue to give New York localities the tools they need to protect vulnerable immigrant communities and help ensure all New Yorkers' safety." Anticipating major changes to federal immigration enforcement, in January 2017 the Attorney General's office released legal guidance to provide localities and local law enforcement with model laws and policies to become "sanctuary" jurisdictions. The model provisions offered by the Attorney General's guidance make clear that local New York law enforcement can limit their participation in federal immigration enforcement activities in several ways, including by: (1) refusing to enforce non-judicial civil immigration warrants issued by Immigration and Customs Enforcement (ICE) or Customs and Border Protection; (2) protecting New Yorkers' Fourth Amendment rights by denying federal requests to hold uncharged individuals in custody without a judicial warrant or probable cause to believe an individual has committed a crime; (3) limiting access of ICE and CBP agents to individuals currently in custody; and (4) limiting information gathering and reporting that will be used exclusively for federal immigration enforcement. In People ex rel. Wells v. DeMarco, a New York resident challenged his detention by the Suffolk County Sheriff's Office for civil immigration violations. The Suffolk County Sheriff's Office had detained the New York resident on the purported authority of a detainer request issued by ICE and an accompanying administrative — and not judicial — warrant. The Second Department ruled that an arrest occurs when state and local authorities hold an individual in response to an ICE detainer. The court further held that New York law does not authorize state and local authorities to arrest persons whose sole alleged infraction is being in the United States without documentation, conduct that federal immigration law treats as a civil violation. In fact, New York's Criminal Procedure Law permits police officers to arrest a person only in response to a judicially issued warrant or for a "crime" (a misdemeanor or felony) or an "offense" (a crime or any other conduct punishable by imprisonment or a fine). 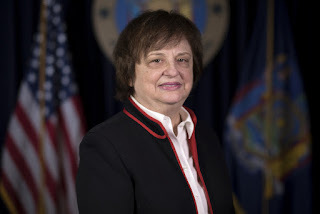 In reaching its decision, the Second Department noted that the New York Attorney General had participated as an amicus curiae at the court's invitation, and the court cited many of the arguments made by the Attorney General in her brief. This same issue is also being litigated in other courts in New York State; the Attorney General is also participating as an amicus curiae in Orellana Castaneda v. County of Suffolk (No. 17-cv-4267), pending in the U.S. District Court for the Eastern District of New York, which presents similar questions about the legality of holding individuals in response to ICE detainers.